Something that has fallen off the radar recently are the resin bodied bespoke models which are being made quietly tucked away in someone’s shed or kitchen or garage, and being made to quite high standards too. This model falls into that category and was originally made two or three years ago as a limited edition, so if you didn’t get it then, you missed out….or did you. It is surprising how many models are made as limited issues of one thousand or fifteen hundred, and years later are still freely available on the internet? In my opinion, anything over a thousand may well appear limited, but if you look hard enough you can always find what you are looking for, and at a reasonable price too. The real 300 SL (W198) was the first of the SL class Mercedes and was introduced as a two seater. Fitted with a 2996 c.c. injected six cylinder in-line engine, it was developed from the earlier 1952 300 SL race car. 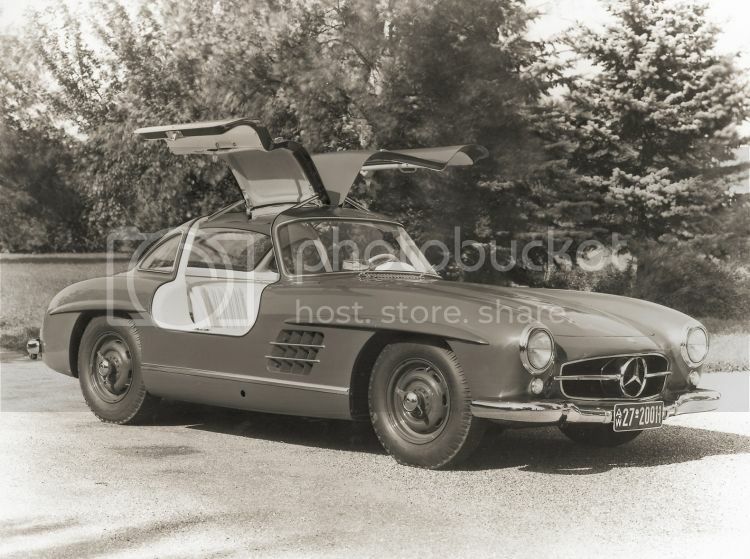 Fitted with its distinctive gull wing doors, the 300 SL was the fastest production car of its time. There were a little less than three thousand made and about half were hard tops and the remainder were dropheads. More than 80% of production was sold in North America and the car was instrumental in changing Mercedes Benz’s image in North America for ever. Being based on the W194 racing car space-frame chassis meant it had structural load bearing sill panels either side. 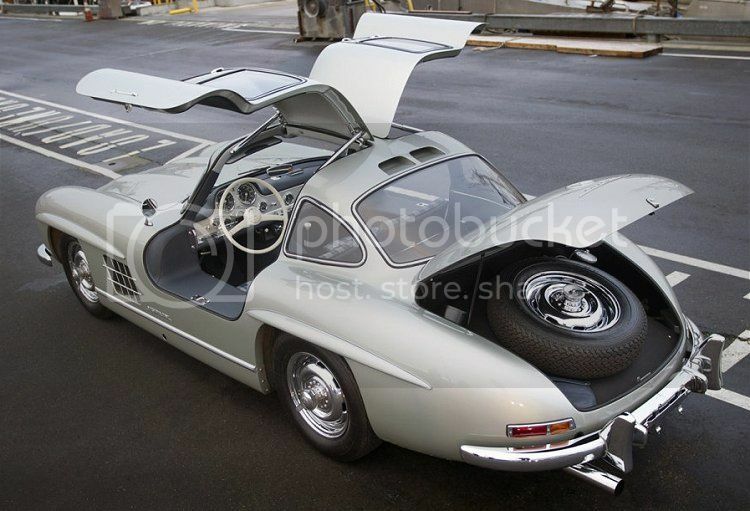 These were quite deep and precluded it from having conventional doors, but the Daimler Benz design department came up with the unusual idea of gull wing doors to overcome this. 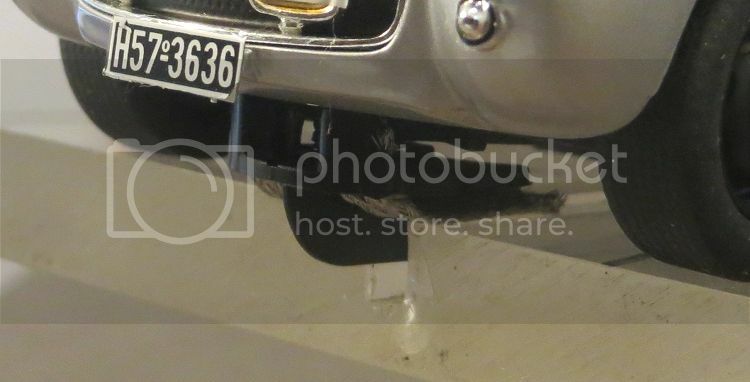 The sills also made it difficult to get in and out and a tilting steering column was devised to ease entry and exit from the car. Body construction was in the form of a steel carcass with alloy panels, but Daimler Benz also made twenty nine ‘all aluminium’ bodies. If you fancy one of these you might need to stump up US$5,000,000 !! 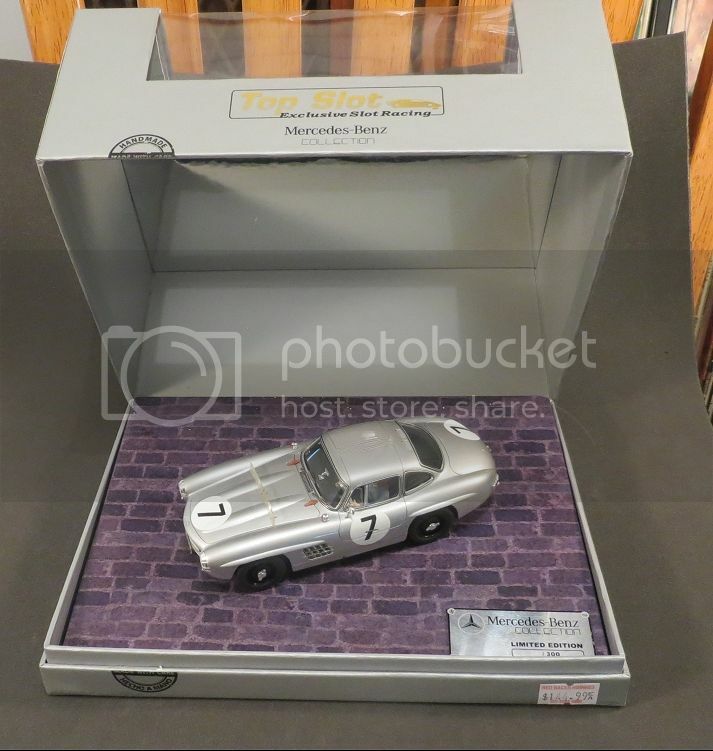 The Top Slot model is based on a 300SL privately entered by German Prince Paul Metternich in the 1956 Le Mans 24 hour event (Mercedes Benz had withdrawn from all motor racing the previous year) where he drove alongside Wittigo von Einsiedel. The car was retired from the race with suspected ignition problems after eight hours racing, having completed 54 laps. Interestingly, and not related, Paul Metternich was to later become the President of motorsport’s governing body, the FIA. 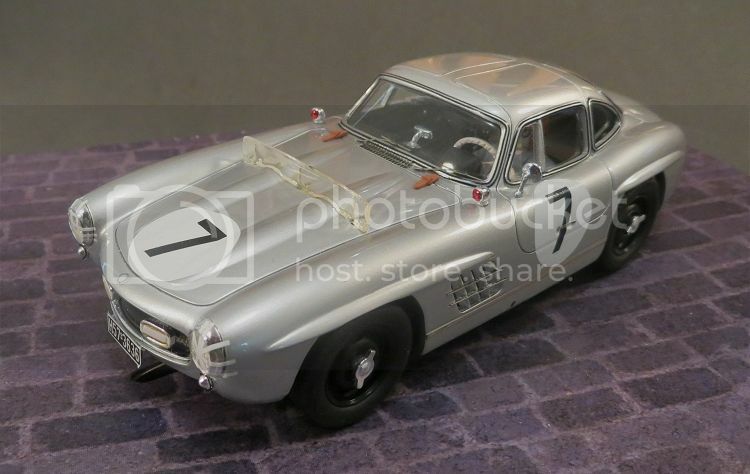 Top Slot have been making some really nice models for several years now and they have been mostly of the iconic Spanish Pegaso model; but between releases they have been trickling out some international favourites. 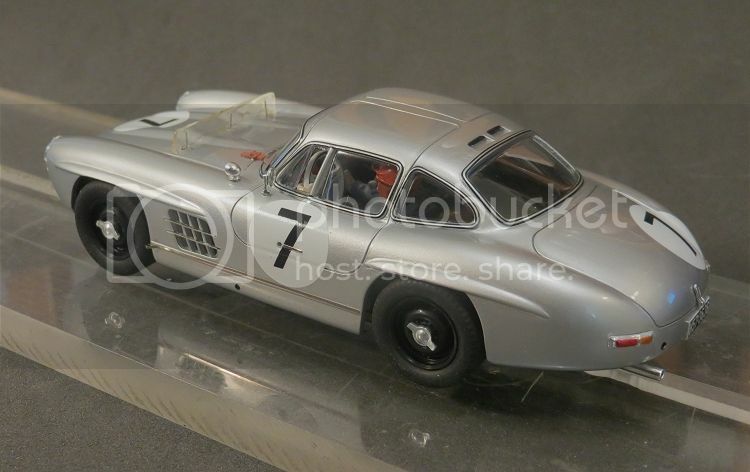 Mercedes appears to be one of those favourites; so I’ve tried to locate their website but it seems their models are sold via ibbautoracing.com. This is also the contact address as printed on the side of their box. The models are resin cast and very accurate in detail. One of the best points is the blemish free paint job and the shiny smooth clear coat; but the plusses don’t start and finish there. The door and bonnet gaps are faultless and the representation of the rubber window seals and anodized expander trims are amazing. All exterior parts are clear or anodized and fine trim like door mirrors, handles, trims and lights are all executed to true scale proportions. The only minus is that one of the side trims, which are made from a fine foil, is peeling from the body and care needs to be taken when handling it. 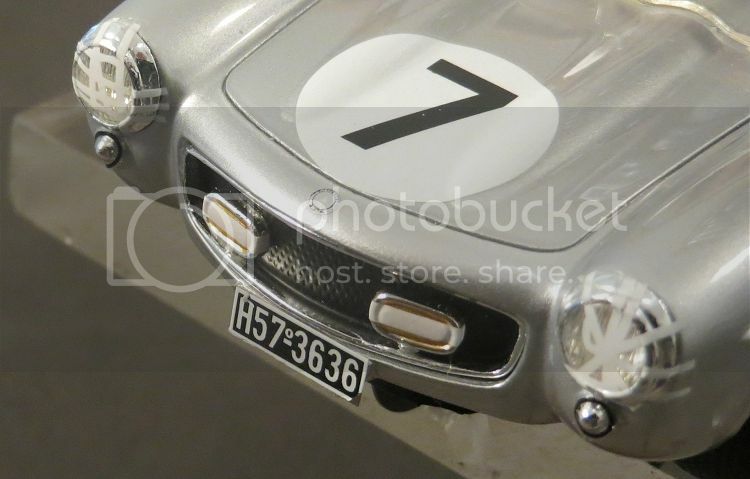 Tampo/decals are minimal but again faultless; and I like the way they have posed the drivers quarter glass, this is a feature of the amazingly well fitting vacuum formed glass parts. Interior detail is good and I am always surprised by the level of detail some makers go to considering these areas are seldom seen and soon forgotten. 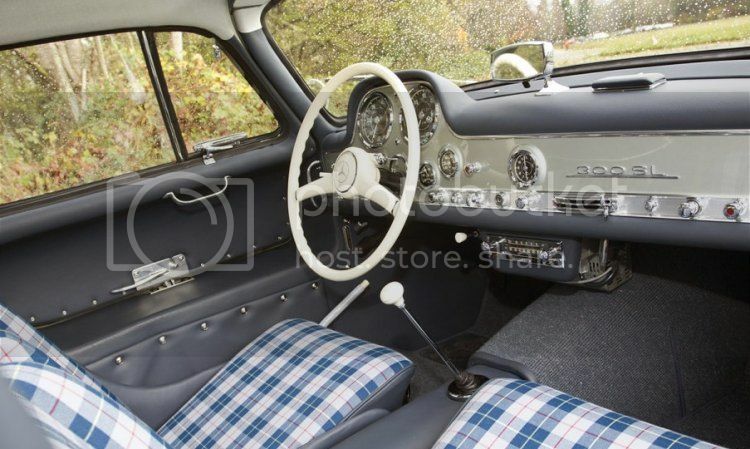 The driver is focused on his job and Top Slot have given him a smart interior to be focused in! The model comes in a more than adequate display case which must be an expense in itself. A clamshell case with foil insert in the lid which reflects the other side of the model when it is open, and the limited edition plaque in the corner of the base. But the display case is where careful handling of this model starts. The model is held on its dais by two very stiff plastic coated ‘twisties’ (a la SCX in the nineties)! When installed, these twisties would have been straight and virginal. Undoing them requires a steady hand and firm grip, as the base of the dais flexes considerably and there is risk of over gripping some of the fine detail. There is every likelihood that these models will never turn a wheel in anger, and because of this the review could well have ended here. But I will continue as if this model IS going to do some track time, and I will review the motive parts as if it were a regular slotcar ready to race. Once out of the box it is revealed that while Top Slot have spared almost no expense in making the body, the chassis is more of a quick fix! 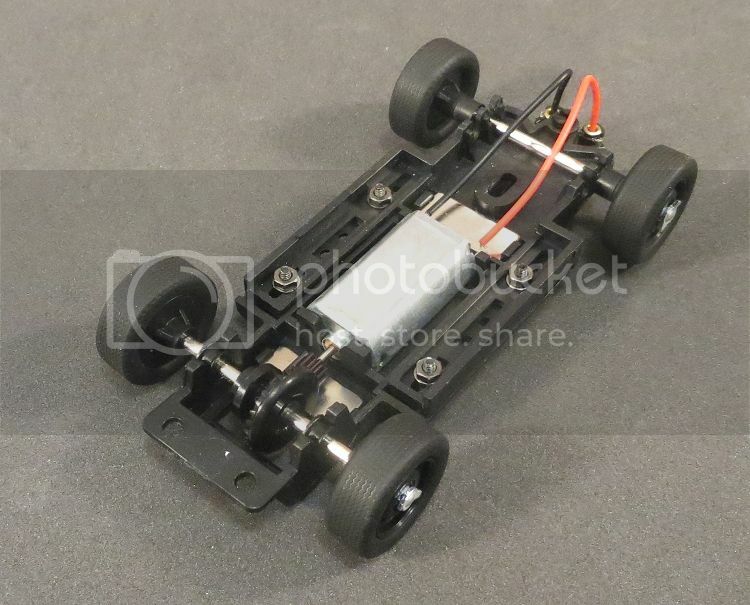 The chassis is an MRRC Sebring adjustable chassis. Not a big deal in itself and quite a nice chassis, but I would have expected something else myself. The underside sees some variations from standard chassis. There are some nice accurate scale steel wheels on the model featuring the unusual ‘Mercedes knock offs’ from the fifties. Tyres are reasonably soft and carry shallow ribbing as the tread and minor sidewall detail. The model’s front axle has more slop than I would normally like but that is fixable. If your track has banked bends then it might be better to leave the front axle as it is. On removing the tyres it shows that although the tyres are all the same size, the front wheel rims are noticeably narrower than the rears? This causes the rear tyres to be a firm fit and the fronts to be loose. Also, whereas all the wheel rims are concentric, a couple of them do have run out which makes them wobble slightly when spun. The gearing mesh also feels a bit harsh but we can look more closely at that with the body off. The guide is fairly firm in the chassis but I notice it has a radius or prow on the front edge. It is my experience that this can encourage deslotting in competition; and interestingly enough, the guide has dual slots either side ‘a la SCX’, so if you are a lover of ‘four braid’ guides, there is an opportunity to configure it this way. At 6.5 m.m. the guide is deep enough but it sits barely three mil. in the setup board slot and would need to be shimmed or lowered to be reliably effective. Also, the braid material is quite stiff and would need changing for it to run successfully on some tracks. But this model has a respectable traction magnet and it may well mask the stiff braids. Three screws hold the chassis to the body and once they are removed it can be seen that they are two different sizes? So it is important to put them back in the holes they came from. With the chassis out we can see the standard layout of the Sebring chassis, and again, with the hypothetic intention of putting this on the track we can look around to see what needs attention. The reason for the ‘gritty’ feel to the gears is two fold. Firstly, the centering slot in the contrate is for the standard 2.0 m.m. 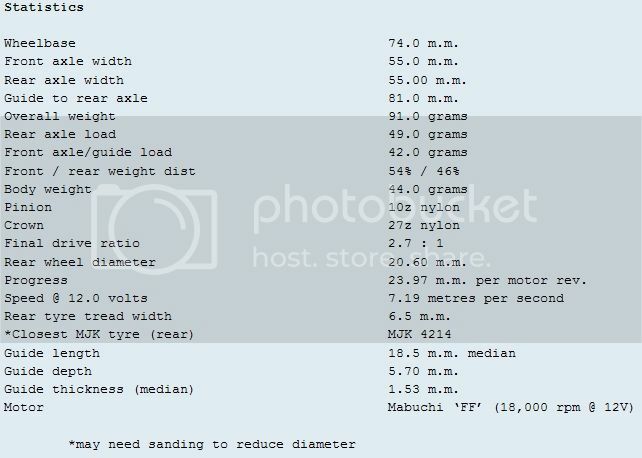 motor shaft, and the FF motor supplied has only got a 1.5 m.m. shaft. Not a big deal but most makers fit a fine sleeve over the end of the pinion shaft to space it out to the bigger size. 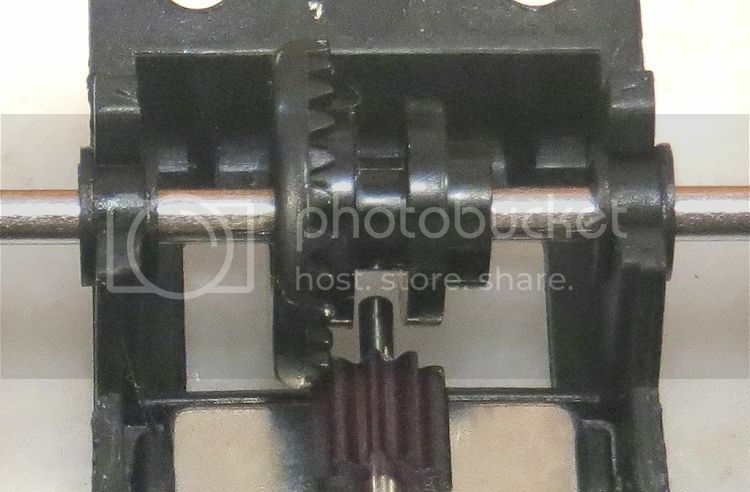 On this model there is no sleeve and the axle and gear can slop noticeably from side to side, causing the pinion to go to the edge of mesh. The motor is also offset downward more than one millimeter which moves the pinion further out of mesh! The fix? Well a pinion shaft sleeve for a start, and possibly changing the one piece moulded contrate for a Slot.it offset gear! And if I were going that far I would change the pinion too. This is a nylon ten tooth pinion which has full length tooth valleys. It is only a matter of time before the pinion will split along the weakest valley. A plus though is that the motor pinion shaft is splined! This should ensure there is no pinion slip as suffered by some other notable makes! It can also be noted that the rear axle bushes are a tad loose in their chassis mounts, but again a simple job to fix. Lastly, the model has two significant magnets and I mean significant. 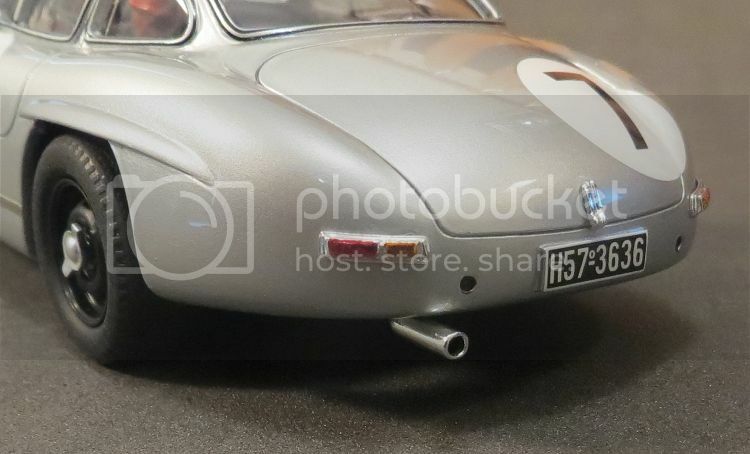 I placed it on a length of Carrera track and it was stuck down, probably as much as a lesser model on Scaley or Ninco track, and I would suggest on Scaley or Ninco the motor might have trouble dragging itself along!! 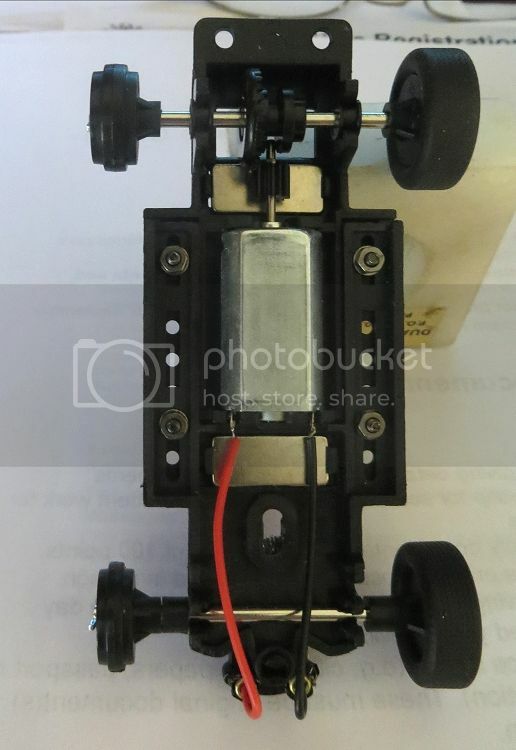 So in the unlikely event that this model will ever do track time I would suggest a fix would be to remove the front magnet to give the motor a fighting chance! Top Slot have made a fabulous model here and because the finish and detail is crisp and simple, it should be displayed somewhere in prominence. I would suggest it is equal to Racer models when it comes to build quality but unfortunately it will be a few leagues behind Racer when it comes to drivability, but then Racer are a bit dearer . I mentioned the availability of limited models earlier in the text and certainly there are quite a few Limited Editions which are still readily available; but, I suspect this model has flown from the shelves and some serious googling may well be required to locate one; and expect to pay handsomely once you have. So what do I think generally about the model. Firstly this is a fabulous exercise in scale modeling and it sits alongside far more expensive models as far as quality of finish is concerned. 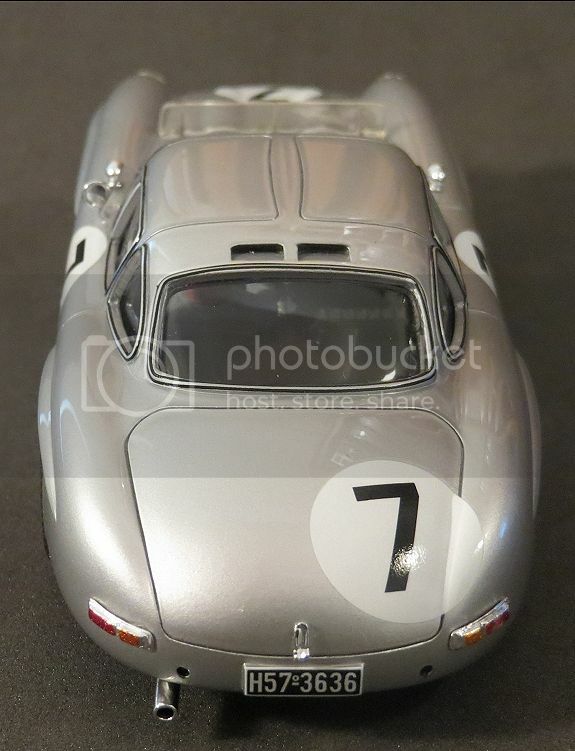 As a slotcar it has the potential to race and place. but it will take a little work. So I’d like to say ‘do yourself a favour and get one but you may need to check your Paypal account first! 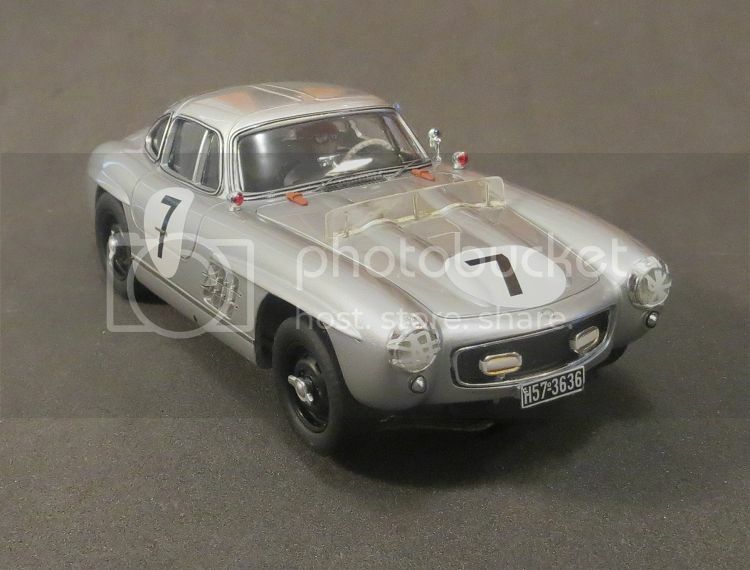 Many thanks to John ‘Moby’ Magriplis for the opportunity to review this great model.